This high sitting castle sits on the site of the old Gäddeholm with origins in the 1300’s. Gäddeholm (or Gieddeholm) was named for Nils Gädda (Niklis Gädda). Nils Gädda was the sone of Karl Nilsson Gädda who was sheriff of the Hölebo district between 1419-1450. Karl’s niece was Iliana Gädda who was the first wife of the regent Svante Nilsson (Sture). They had a son, Sten Sture the younger. Sten Sture the younger married Kristina Gyllenstierna and made a wedding gift of the castle in 1511. After Kristina’s death in 1559 the estate went to their son, Svante Sture who was killed in the so-called Sture Murders by Erik XIV in 1567. In 1576 a new stone house was built. In the 1640’s Sten Nilsson Bielke built a grand palace after drawings of the architect Erik Dahlbergh. An illustration in Suecia Antiqua et Hodierna shows the castle before it burned down during the Russian Raids of 1719. Afterwards Gäddeholm stood for several years as ruin of blackened walls. The castle was rebuilt based on drawings of Carl Hårleman with the original buildings as a model since a number of the load bearing walls of Gäddeholm could be reused. The client was Thure Gabriel Bielke. The work to build the new castle went from 1728 until the 1740’s. 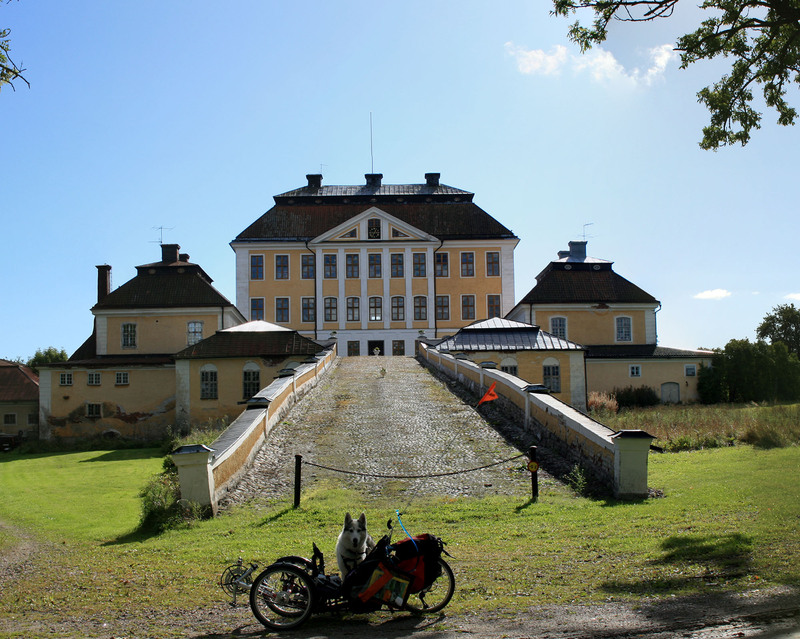 In 1761, the castle was given the new name of Thureholm after its owner’s first name. Thure Gabriel Bielke died two yeas after the castle’s completion and his son, Nils Adam Bielke inherited. It continued to be passed through the Bielke family until 1915 when Captian Thure Bielke sold it to the Deputy District Judge Knut Tillberg. The next year, Tillberg returned the property to the Bielke family. IN 1921 the castle was sold to General and Captain Herman Gullberg. In 1935 it was sold to the Bonde family. To this day, Thureholm (now called Tureholm) remains in the custody of the Bonde family who live in the wings, leaving the main building for other uses, among which are guided tours for the public.